The world’s biggest tennis stars converge on the All England Club in southwest London this July to compete in Wimbledon 2018. We look at some of the luxury timepeices that grace the wrists of the top-name tennis players. The new mom and 23-time Grand Slam winner has added fashionista to her CV. Williams recently debuted a direct-to-consumer clothing line at SerenaWilliams.com that spans from comfort casuals to athletic wear and evening ensembles. As an ambassador for Audemars Piguet, her watches are decidedly more upscale. And while she’s not under contract to do so, Williams often wears the Swiss timepieces on the court. Serena has been spotted playing with a custom Piguet Millenary Hand-Wound with a diamond-encrusted bezel. 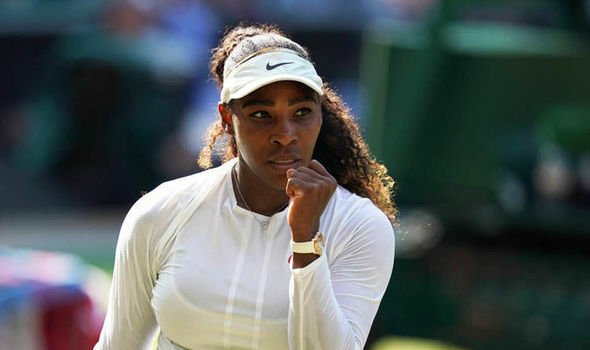 There’s a good chance we’ll see her wearing her favorite Royal Oak Offshore at Wimbledon as its white scheme meshes with the tournament’s all-white-dress rule that applies to players. With perfectly coiffed hair that remains astonishingly in place on the court, Canadian player Milos Raonic is a classic Rolex man. 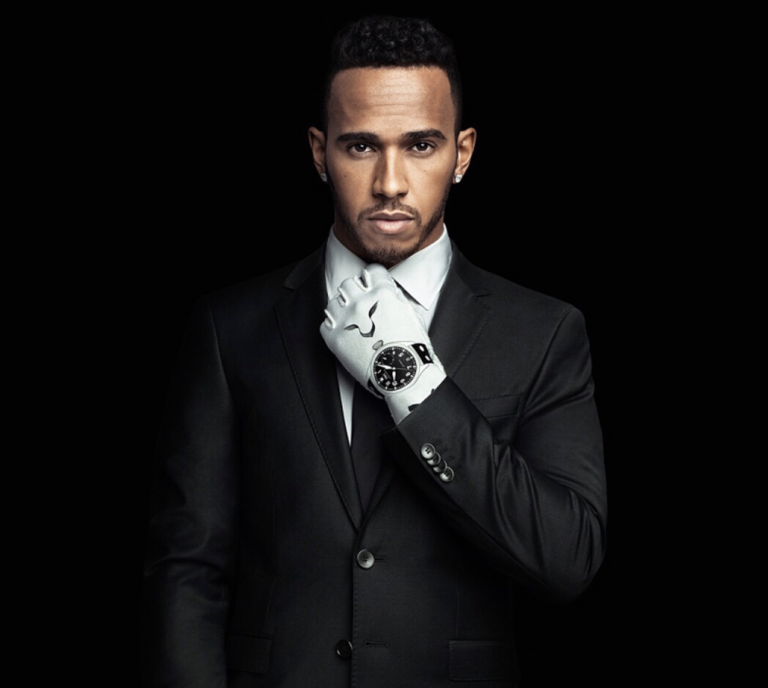 He’s been seen wearing a time-honored Daytona with a black ceramic bezel and white panda dial. Milos is also fond of his Yacht-Master 40 in Everose gold with a black Oysterflex bracelet. For dressier occasions, the dashing 27-year-old wears a two-tone Datejust. Oozing style and sophistication off the court that have earned him comparisons to James Bond, Roger Federer is almost as much a fashion icon as tennis superstar. The suave 20-time Grand Slam winner has an esteemed spot on Sports Illustrated’s Fashionable 50 list. As a brand ambassador for Rolex, the 36-year-old’s elegant suits pair with some of the world’s finest watches. 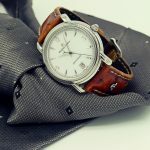 And many of the timepieces have personal connections. One of the more understated in his collection, the Rolex Datejust II 116334 Silver Blue Arabic was on the Swiss star’s wrist when he raised the Wimbledon cup in victory after breaking the Grand Slam record in 2009. His Vintage Rolex Daytona 6263 was a 30th-birthday gift from his wife. 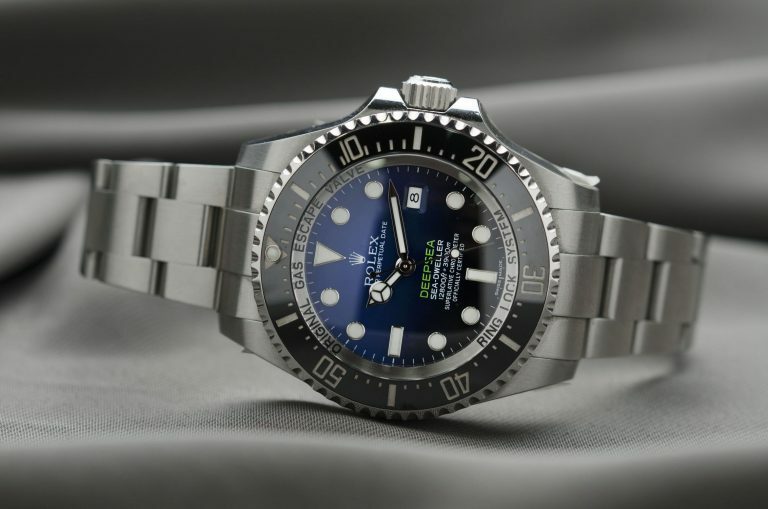 He’s recently given to wearing what’s been dubbed the “Rolex Batman,” a striking GMT-Master II in blue and black. Another star whose style has been heralded by Sports Illustrated, Caroline Wozniacki can be seen flaunting her beach-perfect frame in the Swimsuit Edition. The Danish star has also joined with OVVO Optics for an exclusive eyewear line that embodies her personal style — which includes sporting watches that have been stereotyped as “for men.” As a brand ambassador for Rolex, Wozniacki wears a diamond-rich Rolex Cosmograph Daytona that is more often seen on the wrists of her male counterparts. She’s also been spotted wearing Rolex watches with more feminine leanings like her special-edition Datejust with a flower-and-diamond adorned pink dial. Stunning on red carpets in Alexander McQueen and Stella McCartney creations, Garbiñe Muguruza serves as a Rolex ambassador. The 23-year-old Spanish-Venezuelan star’s go-to watch is a Datejust 36 with diamond markers and a pink mother-of-pearl dial. Since its debut in 1945, the Oyster Perpetual Datejust has remained a classic that transcends the ever-changing faces of fashion. Rafael Nadal’s fashion on the court has evolved — though we’re not sure for better or worse. But the 32-year-old player’s more recent short shorts have raised eyebrows with scandalously close inseams. His Richard Mille watches have also garnered attention. Sponsored by the Swiss luxury watchmaker since 2010, Nadal revels in showing off his RM 27-03. The super lightweight watch that can withstand a shock of 10,000 Gs honors the flag of the Spanish star’s homeland with a fiery orange-and-red motif. If you’re looking to pick up one of the technological wonders in the RM collection, be prepared to shell out anywhere between $500,000 and $725,000. Speaking of shock, Serbian star Novak Djokovic has left little to the imagination with his abs-proud modeling for Tommy Hilfiger underwear. 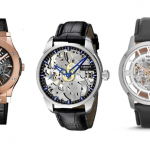 With watches, the former ambassador for Audemars Piguet has switched to Seiko. The three-time Wimbledon winner teamed with the Japanese watchmakers to create the Seiko Astron SSE143, a travel-friendly timepiece that’s powered by solar energy and uses GPS to track each of the 39 time zones on the planet. At formal gatherings, the 31-year-old player often wears a Kinetic Perpetual Premier. Djokovic helped design the Seiko that has a sporty-yet-elegant feel. Czech pro Petra Kvitova is a brand ambassador for Ritmo Mundo. Since 2002, the watchmakers from Beverly Hills have been offering sporty timepieces aimed at young watch wearers. You’re apt to catch Petra sporting a rose-gold World Timer, a watch with classic style that pays homage to early 20th century designs with a vintage leather luggage strap. Kvitova is also partial to Ritmo’s Corinthian Mesh, another retro-vibe watch with a textured dial and high-polish case.